What is it about chapstick that makes them so hard to keep track of? I seem to never be able to find it just when I need it, and having little ones around who like to share definitely doesn’t help ;). Hopefully today’s project will change that! 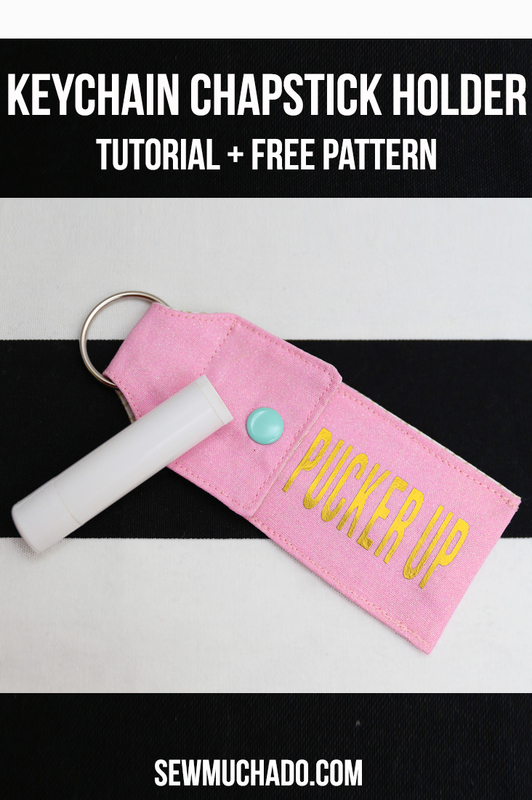 I’m sharing a keychain chapstick holder tutorial (and free pattern!) that you can hook to your purse, diaper bag, or use as your vehicle keychain to keep it always handy! I designed this little keychain chapstick holder to perfectly fit a tubular chapstick, and it even snaps closed to keep it nice an secure inside. If you’re not a snap fan, you could also use Velcro for the closure. 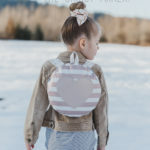 Below you’ll find the link to download the free pattern. 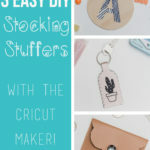 And of course I couldn’t resist adding some text with Cricut iron on – the link for the cut file and instructions for adding it are also below! 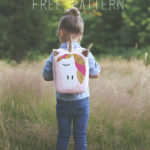 It’s also the perfect scrap buster – it uses a tiny amount of fabric but you’ll get a ton of use out of it. You know I’m a sucker for practical projects! 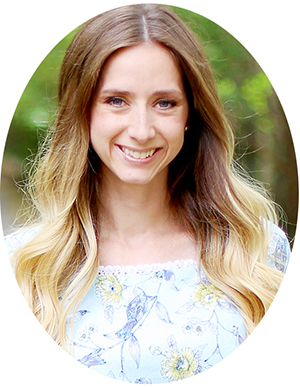 This fun project sews up in no time, and is so perfect for yourself or for a quick gift! Cut fabric/interfacing as instructed on pattern pieces. 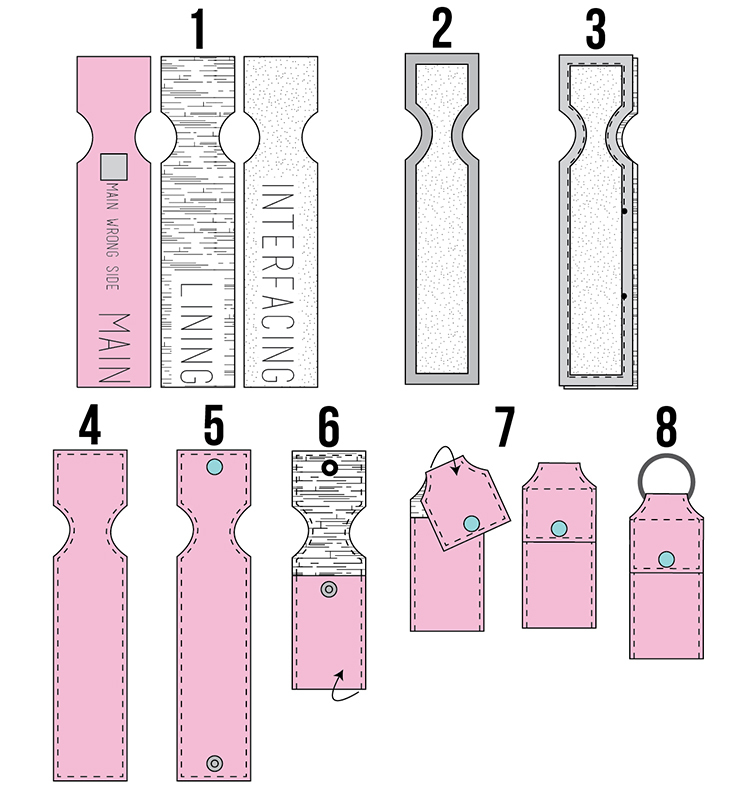 Trim ¼” from all edges of interfacing (to reduce bulk in seam allowances) and fuse to wrong side of main fabric. Right sides together, match and pin raw edges of main and lining pieces. Stitch around all edges, leaving 2-3” opening on one long edge. Trim corners, clip curves, and turn pieces right side out. Use sharp point to ensure neat corners. Press flat, turning raw edges of opening ¼” toward wrong side, and topstitch 1/16-1/8” from pressed edges around all sides. Follow manufacturer’s directions to attach snaps as marked on pattern piece. Ensure snap placement will be correct in the finished holder before securing, with right side of snap top (female end) on main fabric right side at top of holder, and male end of snap on main fabric right side at bottom of holder. Fold bottom of holder upward along dotted line on pattern piece, main fabric outward and lining fabric inward. Check that snaps match up properly (adjust position of fold if needed), and stitch over previous topstitching, through all layers on each side of fold, forming pocket. Fold top of holder downward, lining right sides together, matching curves on each side and ensuring snaps match properly. Stitch horizontally from corner to corner at bottom of curves. Thread key chain through curved opening. 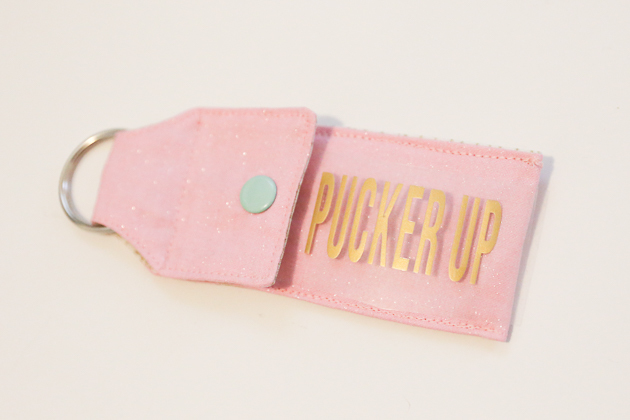 Use Cricut Maker to cut the “PUCKER UP” file using Cricut Iron-On. Be sure to click “mirror” when cutting! 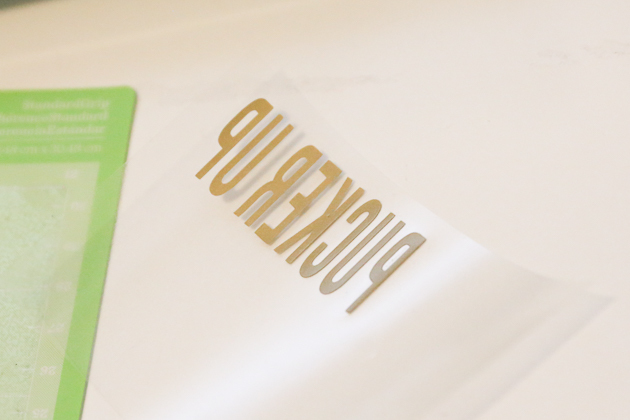 Remove negative iron-on and center text, sticky side down, on bottom of holder. 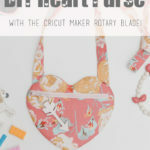 Use iron or Cricut Easy Press to fuse iron-on to fabric. Remove clear plastic. Great job! 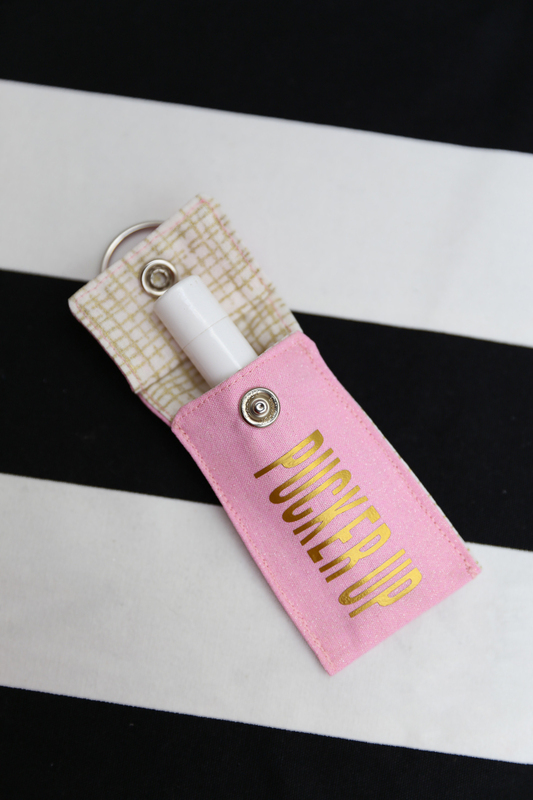 We hope you’ve enjoyed this keychain chapstick holder tutorial!